Thank goodness my GetGlue stickers arrived after 4 weeks. 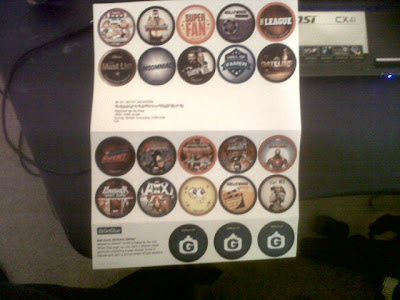 GetGlue is a social networking site where you "check in" to your favorite shows or which shows are you watching and you get stickers. You can have actual paper versions of those stickers when you've collected 20 of them and GetGlue will send them to you free of charge. I actually ordered a set when I was in the Philippines and they never arrived. Thankfully, Canada's closer to the US so it didn't get lost in the mail.